Funded by the Joint Information Systems Committee (JISC), and published by Open Humanities Press (OHP), Living Books About Life is a series of curated, open access books about life – with life understood both philosophically and biologically – which provide a bridge between the humanities and the sciences. 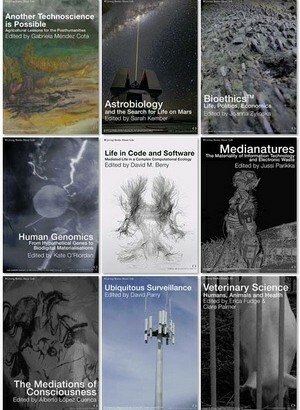 Produced by a globally-distributed network of writers and editors, the books in the series repackage existing open access science research by clustering it around selected topics whose unifying theme is life: e.g., air, agriculture, bioethics, cosmetic surgery, electronic waste, energy, neurology and pharmacology. By creating twenty one ‘living books about life’ in just seven months, the series represents an exciting new model for publishing, in a sustainable, low-cost manner, many more such books in the future. These books can be freely shared with other academic and non-academic institutions and individuals. Taken together, they constitute an engaging interdisciplinary resource for researching and teaching relevant science issues across the humanities, a resource that is capable of enhancing the intellectual and pedagogic experience of working with open access materials.